It takes someone special to bring about change and innovation. Now you can explore the lives of six remarkable people who have had a massive impact on technology today. Meet the kings of the info world in this exciting book of detailed profiles, quotes and inspiring facts. 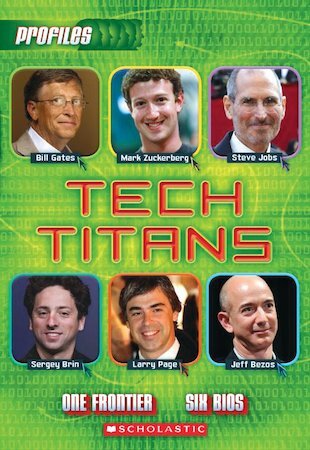 So much more than just your typical biography, Tech Titans focuses on six of the most prominent figures in modern computing, exploring their background, family, education, accomplishments and legacy. Meet Bill Gates, Steve Jobs, Mark Zuckerberg, Larry Page, Sergey Brin and Jeff Bezos – the men behind Windows, Apple, Facebook, Google and Amazon!